From 2017 the entries will be undated, but with reference to the Sunday (or other day) of the year. The entries are in ascending order – please scroll to the bottom of this page for Advent 1. Consider the hymns and songs from Lent 4 & Lent 1 below. If your service is Eucharistic, several of the selections for Maundy Thursday would be suitable. I cannot tell why he whom angels worship LONDONDERRY AIR Suggest the first two verses only, possibly with the last verse too, but this tune can be draggy if too many verses are sung. You will need the inclusive language version in the link. Thanks to Chris Harris for providing most of the suggestions. Eat this bread and never hunger (Damon) CoCs #530 and words and music online from Hope Publishing. Easy to learn and very popular at the 2o14 LSM Conference, this is a worthy addition to your communion repertoire. Click the pdf symbol for the sheet music. Come to the banquet (there’s a place for you) Fay White’s easy and catchy song of invitation, your congregation could easily sing along – the lyrics are on the Youtube clip. This would make an excellent opening song. Lord you hear the cry (Lord have mercy) I recommended this Gospel-style worship song for Ash Wednesday, but it would set the scene for Palm Sunday perfectly if used to convey the sense of hope for a Messiah that the people had. This video has all the words. 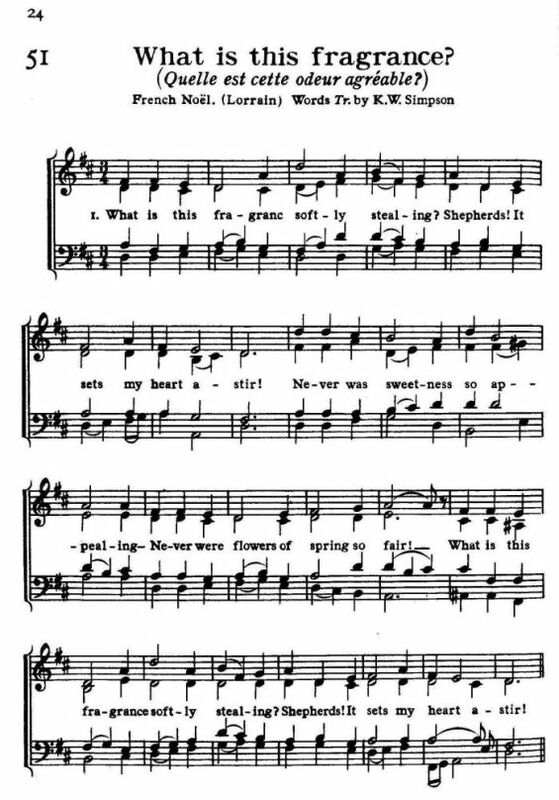 No tramp of soldiers marching feet An evocative hymn by Timothy-Dudley Smith for Palm Sunday, suitable perhaps for closing the service, or possibly at the Offertory. Follow the link for the words. KINGSFOLD is an appropriate tune. Hosanna, hosanna (Carl Tuttle – Youtube Video) “Songs of the Nations” #538 Would make an excellent medley with Make Way as they are both in the key of G – I’d use this song second. When his time was over Beautifully evocative song for Palm Sunday and Holy Week, by Robin Mann. TiS #357. Really worth learning – should be a standard part of the repertoire for this time of year. All glory, praise (laud) and honour Standard processional hymn for Palm Sunday. ST THEOLDULPH TiS #333, CoCs #467, HFTC #120 and many other hymnals. Lord Jesus for my sake you come (Perry) Deserves wider use at this time of year. HFTC #133 Could be sung to ANGELUS or WAREHAM. You may need a free membership to Jubilate Group to get access to the words. Thanks to Natalie & Chris for their very significant input! Unless a grain of wheat by Bernadette Farrell. The lyrics are all from the NT (mainly words of Jesus). God of Jeremiah grieving Brian Wren’s hymn sung to KELVINGROVE aka (“Will you come and follow me?”) TiS #679, or scroll down the linked page for the music pdf. Breathe on me, breath of God I prefer TRENTHAM as the tune, as in CoCs #190 HFTC #226 has more modern words. Praise the One who breaks the darkness sung to NETTLETON or other 87.87D, CONVERSE (aka “What a friend”…) would work. Natalie Sims and Chris Harris provided most of the suggestions for this week. In NZ we encourage you to observe Lent omitting the English festival of “Mothering Sunday” which was, in any case, not originally about mothers, but about your mother church (Cathedral). In NZ the secular mothers’ day is on May 10, and that is a more appropriate day (seasonally speaking) to celebrate our mothers. Lift Jesus higher may be a choice that surprises some because of the way it was sung in the 70s (as a jolly little ditty). However, sung slowly and meditatively it is worshipful and reflective and very apt for today’s readings. The words need updating: I suggest you could sing “He said ‘When I am lifted up from the earth, I will draw the world unto me. '” (or, “all folk”, but I always think ‘folk’ is clunky.) SiS (Songs of Praise) #119. Copyright and composer are unknown. O my saviour lifted /from the earth for me/ draw me in your mercy/so my eyes may see. Lift my earth-bound longings/ fix them high above / draw me with the magnet /of your mighty love. For your arms are stretching/ ever far and wide/ to enfold your children / to your loving side. And I come, O Jesus / dare I turn away? / No, your love has conquered / and I come today. Bringing all my burdens / sorrow, sin and care / at your feet I lay them /and I leave them there. William Walsham How. When we are living, we are in the Lord CoCs #242 Performed by the Local Shared Ministry Conference on this page. There’s a wideness in God’s mercy Colin Gibson’s version in HiOS #135 CROSS OF JESUS can be used. Bring us justice (Psalm 26) I love this boppy number which could be listened to in place of the psalm, or as a lively response to communion, or (easy!) the exit music. Words and recording here. Faithfully angry (Psalm 58) could be listened to as a reflection on the gospel. Words and recording here. Move! (Psalm 109) Sixties-sounding rocker/protest song. Apt for the Gospel today! Good with youth, or, of course those who were young in the sixties! Words and music here. Praise with joy the world’s creator Refreshing contemporary text inspired by “Praise my soul the king of heaven…” with the same tune (called either PRAISE MY SOUL or LAUDA ANIMA) CoCs #57 or TiS 179 or the words are here. Good for opening or closing worship. Sing for God’s glory that colours the dawn of creation sung to LOBE DEN HERRN (but keep it lively!). Link downloads a word document. Jesus Christ is waiting sung to NOEL NOUVELET (Iona Community) Check out the words and video links on sixmaddens. Free sheet music, simple arrangement. Here hangs a man discarded is Brian Wren’s hymn about the apparent foolishness of the cross. Works well with PASSION CHORALE aka “O Sacred Head”. Words here. I have decided to follow Jesus receives an effective African-style treatment in this YouTube clip from vocal group “Selah”, which you could sing along to (except for the verse in an African language, I presume!). Alternatively, it could be used as a reflection after the Gospel or Sermon, or before Communion, perhaps. “Community of Christ Sings” #499, guitar chords and words are here, but note that the first three verses are the ones normally sung; you can probably do without the arm-twisting. Let your heart be broken A song not well-known here but very appropriate for Lent and this Sunday. Lyrics are here (but a bit exclusive: “a brother” is better as “another” for example). The music is published in “Community of Christ Sings [CoCs] #353. Reflective performance in this Youtube clip related to medical mission in Africa. O Christ who by a cross made peace your sign Shirley Murray’s hymn is very apt at this time of violence in the world. The tune SURSUM CORDA can be found in many books. Words: CoCs #315, AA #105 or here at Hope Publishing (Click on the little PDF symbol for the words set to the music). I will set my bow in the clouds Dan Damon offers a modern hymn about covenants in the Bible. Words and music from Hope Publishing are here: click the pdf symbol for a printable score with guitar chords. In the cross of Christ I glory [STUTTGART] TiS #349 or lyrics are here. In the presence of your people (Brent Chambers, Scripture in Song) for the psalm, a blast from the 70s past. Will you come and follow me (The Summons) Well known song from Iona, suitable for closing. CoCs #586 and many other contemporary books. Worth Googling/search YouTube if you don’t know it. Lord you hear the cry (Lord have mercy) Strong, gospel-influenced song with a justice theme from ResoundWorship. Your congregation could, for example, sing along with the refrain and listen to the verses. Nice key change. Dust and ashes touch our face is a new hymn by Brian Wren and Hal Hopson. If you don’t want to learn a new tune, this would make an excellent poem for reflection before the imposition of ashes. O Author of faith by Richard Bruxvoort-Corrigan An Epistle-related hoedown song. Words and recording here. If you have no other role for this song it would make lively exit music! Unless a grain of wheat shall fall by Bernadette Farrell is performed very well in this Youtube clip. This is a song that also looks forward to Lent. Your congregation could sing along with the refrain as a post-Communion reflection -words are included, or can be found here. The music (with chords) is published in a book called “Praying in Song”, but can be purchased as a separate here. Last week’s selections are mostly apt, so if you learned something new you could sing it again, or perhaps try some of the hymns you didn’t use. Healer of our every ill (Marty Haugen) It’s worth learning this very attractive and reflective song! YouTube example here. Words, music and guitar chords are here. Among us and before us Lord you stand [SURSUM CORDA] is a tune that fits well. Good for Offertory. Praise the One who breaks the darkness [NETTLETON] Tune well worth learning if you don’t know it, or other 87.87D Lyrics are here. Suitable for an opening hymn. If I were a butterfly for kids! Come O God of all the earth (Marty Haugen) Lively responsive song. Lyrics and example performance here. YouTube singalong version is here. As the Gospel reading for today is the same as December 28 2014, please refer to those selections below. I come with joy, a child of God (Wren) [UNIVERSITY] Lyrics are here. Speak O Lord (Stuart Townend) Very striking and beautiful worship song perfect for today. Lyrics and guitar chords, audio performance plus introductory video. (Look for the play button under the title). Also in “Community of Christ Sings” #66. There is a Youtube with lyrics here. I have called you by your name (Dan Damon) Words and music. This song has proved very popular and is easy to learn. Will you come and follow me? (The Summons) (Bell) KELVINGROVE. Found in many modern hymnbooks. The straight tune version is, in my opinion, better than the dotted. That said, there is an attractive version of the dotted performed here. Lyrics are here. Down by the Jordan straightforward words by Carolyn Winfrey Gillette that can be sung (with vigour!) to LOBE DEN HERRN aka “Praise to the Lord, the almighty, the king of creation”. Also, check out the video listing “Beneath the Southern Cross” for 4 January. You could make use of it anytime in January. Wind upon the waters is a beautiful meditative modern hymn by Marty Haugen performed by a choir here. The lyrics are here, with a solo performance: words could be read as a poem. She sits like a bird (Enemy of apathy). Nice use of some feminine imagery for the ruach. From the Iona Community. TiS #418. Well worth learning the tune. There is a very simple performance, with lyrics, on this video. Let all creation dance Great words by Brian Wren, sung to DARWALL aka “You holy angels bright”. TiS 187 or the words can be found here. Praise with joy the world’s creator Another hymn from John Bell, set to the well known PRAISE MY SOUL / LAUDA ANIMA. TiS 179 or the words can be found here. Touch the earth lightly Murray/Gibson (NZ) in Alleluia Aotearoa #143 and TiS 668. Hymn about our engagement with creation. Note that the minor key verse can be optional. Wairua Tapu, Wairua Tapu, tomo mai. Christ on whom the Spirit rested David Mowbray’s hymn works for all the readings today! Sung to the vigorous tune MICHAEL aka “All my hope on God is founded”. HFTC #228. Words also on this page, but you may need a free account to access them. Wild and lone the prophet’s voice Excellent and challenging words from Carl Daw. Half verses can be sung to HEINLEIN aka “40 days and 40 nights”, making a total of 6 verses. When Jesus came to Jordan Fred Pratt Green’s hymn with lyrics here. This would make a good post-communion reflection especially if sung to PASSION CHORALE aka “O Sacred Head”. You could choose a different 76.76D tune. Natalie Sims and Chris Harris contributed several of these suggestions. Epiphany readings take precedence here, unless observed January 6. Perfect celebration of two hundred years of the Gospel in Aotearoa-New Zealand, from the Presbyterian church. Overseas vistors to this page: this might give you a flavour of the Gospel in our land. The Light of the World: A new song (free download) from Stuart Townend. Celebratory Irish folk style. Mp3 and lyrics Available here. This would make superb exit music, especially the bouncy instrumental at the end! In the beginning: Joel Payne’s excellent contemporary song as found here. You could be tempted to think that this would be the very worst day to learn something new, but “Who sweeps the stable” (Murray/Gibson) is a delightful song about discipleship, with a very singable tune. Would suit a soloist or small group to lead a couple of verses, with the congregation joining in later. HioS [Hope Is Our Song] #154(i). Colin’s tune has easy guitar chords. There is an echo here of Mary’s “Yes” to God. Lift this child This Australian carol (from a poem by Norman Habel) has a lovely tune by Robin Mann, and is perfect for the Gospel reading today. If you can’t use the music, it could be read as a reflective poem. It was popular when we learned it at an LSM conference a couple of years back (although one person really took exception to the line “God has come to be born as an ordinary bloke” which seems perfectly incarnational to me). Lord now let your servant go his way in peace [NORTH COATES] The Nunc Dimittis set to a familiar tune (cf. “O My Saviour Lifted”) HFTC #611. Perfect Gradual hymn. Words here. Child in the manger, infant of Mary [BUNESSAN, aka “Morning Has Broken”. TiS #319, HFTC #51, or words and music on this page. Lord, you were rich beyond all splendour Moving and lovely carol with a french traditional tune, BERGERS aka QUELLE EST CETTE ODEUR. HFTC # 63 and words on this page. Music (but with different words) is here. Don’t forget to conclude with a rousing carol that everyone knows well: Hark the herald angels sing, or O Come all ye faithful for example. The music suggestions assume that traditional favourites such as “Once in royal David’s city” are likely to be included in your selections anyway. But beware of including too many verses, such as in “The first nowell ” (which in one version has a stupefying NINE verses). Sometimes it is wise to cull the more sentimental verses from carols. We encourage you to ensure that you use inclusive people-language in your carol versions, for example, substituting “all” for “men” (“Let all their songs employ”). See “Hymns for Today’s Church” 2nd edition, for example, or “Together in Song”. Natalie Sims has an exhaustive list here, which has all the traditional favourites at the bottom of the page. Chris Harris reminds us of the comprehensive resource from the Methodist Church of NZ, “Ten Minutes on a Tuesday” which has lots of Christmas ideas and a list of carols, too. Child of Christmas story CoC #8, also on the CD. Very easy to learn, charming but challenging words! The stars danced, the angels sang CoC #43, also on the CD*. Great with kids. How far is it to Bethlehem? Adapted for all-age use without the sentimental “kiddie” language. Pleasant English tune STOWEY which can be found in HFTC #288 HowFarIsItToBethlehem words. Infant holy, infant lowly Attractive but under-utilised Polish carol. Like a candle flame Superb carol by Graham Kendrick that deserves to be better known. Link to a Youtube clip with lyrics. Congregation could sing along with the simple refrain. Holy Child, how still you lie Timothy Dudley Smith’s moving carol, HFTC #60 HOLY CHILD. Link provides organ example of the tune. Words here, but ignore the noxious version of the tune. It came upon the midnight clear probably deserves to be sung more, especially with the words version from Jubilate Hymns (sign up for a free account, gives you access to the lyrics and heaps of other resources). I prefer the American tune CAROL, but NOEL will do, if not done too slowly. Come all poor and humble (aka POVERTY CAROL). Lovely Welsh carol with updated words: Come all poor and humble . Music is from the Oxford Book of Carols, but needs to be down a tone for congregational singing. See also a different version for Christmas Day. Ring out the bells A new version of Judy Gresham’s super-catchy song, with lyrics to sing along to. If you don’t know Resound Worship, check out some of their other video clips and Christmas songs. Popular songs include “In the beginning”, “What kind of throne”, and “On Christmas Day”. Full downloadable resources are available for a small fee. Child of joy and peace CoC #9 Very challenging lyrics, if that’s your thing! Open, open, open the stable door Lively song from Colin Gibson, fun to do. You are born in us again CoC #52, also on the CD*. Delightful summer carol with a contemporary feel. Mary’s boy child (Long time ago in Bethlehem). Great to sing if you have guitars. Lyrics and chords. Suggested modification: “We may live for ever more because of Christmas day”. I have a song to sing Woo-hoo! A new incarnation for TEN GUITARS! Rob Ferguson’s contemporary knees-up carol. Thanks to Natalie Sims and her Big List of Christmas Carols for the suggestion. Who would think that what was needed A lovely reflective carol from the Iona Community sung to SCARLET RIBBONS (Who knew that you could sing “What a friend we have in Jesus” to this tune, as in the melody and chords in this pdf. Come your hearts and voices raising TiS #297 Perhaps not well known, but sung to the lovely tune QUEM PASTORES LAUDAVERE. You really need the lyrics version in TiS, as the original is too dated. I would omit vv. 3 & 7. Fantastic exit music for Christmas morning would be “In the beginning” by Joel Payne. Stunning. The Advent focus shifts to the message to Mary and her response of obedience. Mary did you know? A simply stunning a cappella song perfect for today’s theme. “That sleeping babe you’re holding is the great I AM.” A great contemporary rendition, too. Could be used to follow the Gospel reading or as a reflection after the sermon. And holy is your name A lovely song by David Haas. Sung to the traditional WILD MOUNTAIN THYME (listen to the sound sample). Melody and chords are on this page. Definitely worth learning, as the Magnificat could be included on any number of occasions, including Morning Worship. My soul gives glory to my God (words) A simple and beautiful magnificat from Miriam Therese Winter which in “Together in Song” is set to the 8.6.8.6 MORNING SONG (TiS # 172) but you could sing it to RICHMOND or IRISH or any of dozens of others! Tell out my soul, the greatness of the Lord Timothy Dudley-Smith’s well loved hymn, sung to WOODLANDS. Scroll down the page for an inclusive language version of the lyrics. for you, Mighty God, have done great things for me, and holy is your name. For ages women hoped and prayed A hymn by Jane Parker Huber which will sound appropriately “Christmassy”: sung to NOEL (HFTC #87) aka “It came upon the midnight clear”. Note in the link a misprint “weal” which I assume to mean “weak”. You could use FOREST GREEN aka “O little town…” if you want a dead cert tune. My soul proclaims the greatness of the Lord My early attempt at a contemporary (in 1986!) sound for a canticle. Suitable if you want something lively, perhaps, to listen to. Text is the version in “A New Zealand Prayer Book”. Downloadable from the linked page. Robyn Allen-Goudge sang the lead vocal. My particular plea: Unless you are having a special service of readings and carols, please leave the “he is born” material for the season of Christmas! Once again, thanks are due to Natalie Sims and Chris Harris for their prior work which has assisted with this compilation. Nearly all the hymn and song selections for Advent 2 are also appropriate this week and will not be repeated in this list. See them below. In the beginning Joel Payne’s inspired and lively setting of John 1. For a small fee you can download all the resources you need to use this song. Could be used as an Affirmation of Faith. Last Sunday I heard Come O long expected Jesus sung not to the dreary CROSS OF JESUS but to the lilting Welsh tune HYFRYDOL and it was a perfect match. This would make an excellent Gradual. Instead of the Psalm this week you can use the Magnificat, and of course you could certainly use Tell out my soul the greatness of the Lord [WOODLANDS] or how about this other setting: My soul proclaims your greatness Lord [KINGSFOLD aka “I heard the voice of Jesus say”] The linked video is excruciating, but you can at least find the words. It is very necessary to replace the Thou’s in this version. Holy Spirit go before us (TiS 420) – can be sung to an 8787D tune. Link opens a .pdf file, scroll down to page 13 for the lyrics. Look towards Christmas, Advent is here: I like Jillian Bray’s lively tune, but those with lower voices would prefer it in Bb! Let us build a house: a contemporary hymn by Marty Haugen. The writer’s own version (with lyrics) is on this Youtube clip. This would be suitable for a reflection, or something to play before the service. Wait for the Lord: a simple chant from Taize. This could be played during communion, or as a quiet meditation before the service begins. This Youtube clip is a recording from Taize. Prepare the way for love: recorded music for the young, or young at heart, especially if they like “Dire Straits”. Wild and lone the prophet’s voice: if your congregation knows the Welsh tune ABERYSTWYTH aka “Jesus lover of my soul” you might well use this hymn! and under giant ferns a lazy stream is rippling by. O Christ of all seasons, come again. and sand is soft beneath our feet and seagulls wheel and soar. and sunset touches red and gold upon the silver seas. in places poor and dirty, where we would not want to go. O Lord, may all your children everywhere your caring know. This could be used to set the tone for worship, by listening or viewing before the service begins, or as a post-Communion reflection. The congregation could then sing it as a closing hymn as well. If you want a little bit of country-rock this version of the psalm might get the people moving! It could be played as lively exit (or entrance!) music. It’s also easier to sing “People, sing” than “Sing, choirs, sing” (also, most places don’t have choirs).